Not everyone wants to be a manager. At Continental experts can also make a career for themselves. Their task in research and development in the Tires division: to use the latest scientific discoveries to create marketable products. Some people are just good at what they do. So good that no one can hold a candle to them in this area – and no decision is made without their opinion being sought. "Rewarding" these experts by promoting them to the boss' chair would not do justice their strengths. "With the roles of experts we are creating a high degree of specialization, and we are securing the conditions under which these people can fully develop and realize their potential and expertise," reports Christian Jäckel, who heads up the human resources development team for research and development in the Tires division in Stöcken. The expert role was introduced in the tire development team at Continental a decade ago. To some extent, it puts the experts on an equal footing with departmental heads when it comes to salary and recognition. The career path is open to proven specialists who not only have in-depth technical knowledge but can transform it into marketable products. "These guys need a really broad horizon and the skills of a manager," says Jäckel. "They have the ability to initiate, pilot, and support innovative projects within the company – far beyond the department boundaries. Carla Recker has been an expert from the very start, and is responsible for materials chemistry in the Tires division. Since 2007, Recker, who holds a PhD in chemistry, has worked on producing natural rubber from the root sap of the dandelion. This is to replace the natural rubber obtained from the latex in tropical rubber trees used in tire production – reducing the environmental impact and logistics costs. Together with researchers from the Fraunhofer Institute and other project partners, Recker cultivates dandelions, tests the first dandelion tires, and will shortly build a pilot system for production on a commercial scale. "Blue sky thinking is definitely welcome here – so long as its practical," she says with a laugh. Rüdiger Menz at Continental is also known for his good ideas. Menz, who has a PhD in mechanical engineering, has been developing methods for testing the durability of tires for the last five years. Today he is an expert in this field, and can simulate specific excessive strains on tires with increasingly sophisticated test procedures. "I have a whale of a time creating theoretical models," says Rüdiger Menz. The particular challenge is that they must withstand the reality test. Instead of working in an ivory tower, the experts aim to achieve usable results for the company. 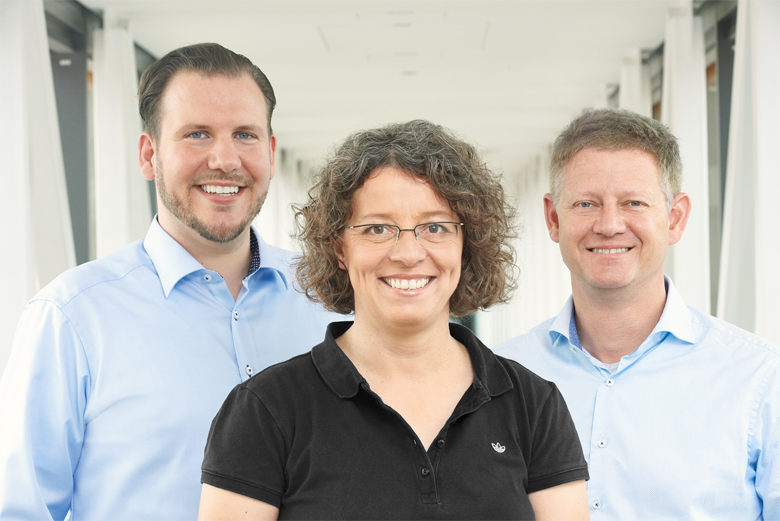 In principle, Carla Recker and Rüdiger Menz have more employees than some bosses: colleagues from all departments work on their projects. But as they are not managers, they have to motivate their teams in other ways. "I need to be more patient and use all my powers of persuasion," says Carla Recker. And they need a healthy level of self-confidence, as the results of their work are often later sold by other employees. "I feel valued by colleagues and managers – and am really glad I don't have to deal with HR matters and budgets." No other job would have suited her better, explains Recker. Currently there are 19 experts working in the field of research and development in Stöcken. Their prominent position also gives them standing in the company. In organizational terms they are on a par with the department manager and just like them report to the main department head – and are able to talk to managers on an equal footing. "Hierarchies are generally not a major topic for us. We do not differentiate between managers and experts. Only potential, performance, and suitability are critical – both for career options and for staff development," explains the head of staff development, Christian Jäckel. This also includes training, for example in management skills: "Suitable techniques are very useful for experts, since they are also leaders. Expert ones."